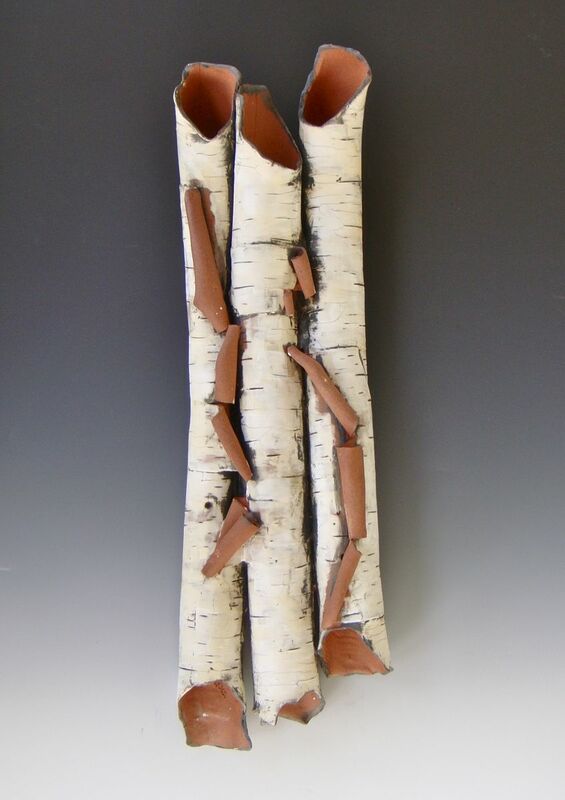 High contrast wall sculpture in the birch motif, stoneware with terra sigillata surface (terra sigillata is a distillation of fine clay particles, which create a dreamy surface with subtle sheen. A perfect solution to a vertical space or in groupings for more impact. Think use in all environments, a punch of texture with stark modern, or an extension of a highly patterned room. 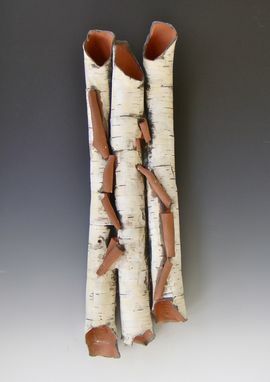 The lyrical properties of the work fits perfectly into a practitioner's office or waiting room, and of course, home.